North Korea Summit: What’s at stake? 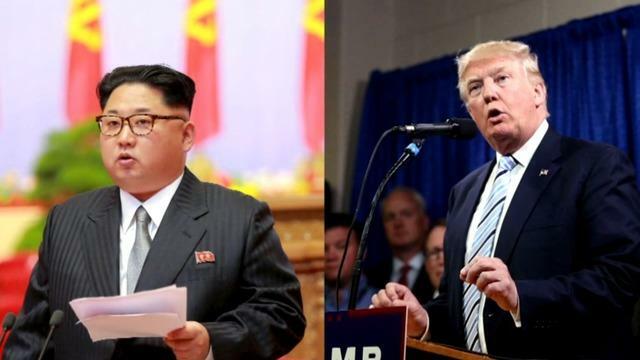 President Trump will become the first sitting U.S. president to meet with a North Korean leader when he sits down with Kim Jong Un Tuesday morning in Singapore. While the ultimate goal for the U.S. is complete, permanent and verifiable denuclearization of the Korean peninsula, how that might be achieved in these talks remains an open question. After more than 10 days at the DMZ, the U.S. diplomatic team, led by South Korean Ambassador Sung Kim, left talks with its North Korean counterparts last week without a pre-baked statement or agreed-upon path forward beyond the summit, according to administration officials. Mr. Trump is confident that he'll be able to quickly size up whether Kim is willing to negotiate. "It's going to be something that will always be spur of the moment," he said three days before the meeting. "You don't know. You know, this has not been done before at this level. This is a leader who really is an unknown personality. People don't know much about him." Another factor -- much remains unknown about Pyongyang's nuclear capabilities. Some experts, including CBS News consultant Bob Carlin, have said it could take as long as 15 years to undo its nuclear and missile program, which could now include material for 25 to 30 nuclear weapons. In 2017, the North carried out its sixth and most powerful nuclear test. It also test-launched 23 missiles in 2017 -- including one ICBM that had the range to reach the U.S. mainland. The White House has told allies, according to one source, that it would like to see the denuclearization process sped up. Nuclear experts have, however, warned the White House about the need to balance speed and safety. As many as 100 sites would need to be thoroughly inspected for a complete assessment. The other countries in the region share the desire for denuclearization, but also have their own goals. Japan wants North Korea to return 12 nationals abducted in the 1970s and 1980s, and Mr. Trump has agreed to raise the issue with Kim. China wants to maintain influence on the peninsula, and South Korea has no interest in a military conflict with its neighbor. The U.S. negotiating team is being led by Secretary of State Mike Pompeo, who has met Kim twice since Easter. Pompeo is a trusted aide with whom the president has an easy rapport. There has been tension between Mr. Trump and national security adviser John Bolton, after Bolton described the U.S. strategy as one informed by the "Libya model." In that model, the U.S. removed all nuclear weapons from the country -- and less than 10 years later the leader of the country was killed in a civil war. But Bolton is on the trip. On the other side, Kim is joined by several top officials including Kim Yong Chol, his so-called right-hand man and former North Korean spy chief, who visited the White House last week. He is close to the Kim family – he was one of its bodyguards in the 1960s and 1970s. Kim's sister Kim Yo-jong, who led the North Korean delegation to the Olympics in South Korea earlier this year, will also be in the country. Kim Jong Un arrived for the talks on Monday afternoon, flying in on a China Air plane that matched Trump's 747. Kim walked off the plane flanked by his close inner circle, while Mr. Trump walked off alone and had his top advisers exit the plane through the rear. There has been a stark change in tone from the Trump administration: Kim is now "Chairman," rather than the "little rocket man" of last summer and fall. During that same period, Kim disparaged Mr. Trump as a "dotard" exhibiting "mentally deranged behavior." The U.S. first approached the government of Singapore about hosting the summit. Singapore's foreign minister says of the locale, "We are neutral, reliable…and secure." Emphasizing Singapore's neutrality, he added, "We are there to serve tea and coffee." Singapore also maintains diplomatic relations with North Korea. The summit has been an on-again, off-again affair. It was originally proposed by the North Koreans, through the South Koreans. In March, Mr. Trump quickly accepted the offer to meet -- and then abruptly cancelled the meeting in a letter in late May, after North Korea made demeaning comments about Vice President Pence. At the same time, the U.S. planning team had been getting "dial tones" from North Korean counterparts. Soon after Mr. Trump cancelled the meeting, North Korea returned to the planning table. In a show of good faith, North Korea has stopped missile and nuclear tests. They also blew up one nuclear test site. Satellite imagery released last week showed the North Koreans dismantled a key ballistic missile test stand, but U.S. officials considers this only a "small, reversible step" and said they are looking for "bigger, bolder moves" that show the North's commitment to denuclearize. On the U.S. side, Mr. Trump said the U.S. is holding back hundreds of additional North Korean sanctions. If the meeting in Singapore fails, there are sanctions the U.S. could immediately slap back on. It is unclear if human rights will be raised during the meeting. North Koreans face "egregious human rights violations by the government in nearly all reporting categories," a the State Department human rights report. There are hundreds of detention facilities where up to 200,000 prisoners are subject to hard and forced labor. Prisoners have died from torture, disease and starvation. Will Trump mention North Korea human rights abuses? According to a CBS poll conducted in early May, 38 percent of Americans believe this meeting will make the situation better (19 percent say worse). More than half of Americans (51 percent) approve of the president handling of North Korea. That's up 9 percentage points from March.